Finding the right storage expansion can often be challenging, because there are so many ways to go about it. NAS, DAS, HDD, SSD, AWS. The acronyms alone are enough to drive one mad. Luckily, there’s one ever-expanding field of data storage options that are easy to use, feature-rich, and ultra-fast. Thanks to Intel’s Thunderbolt 3 (TB3) technology, it’s easier than ever to add high-speed, high-capacity Direct Attach Storage (DAS) to any computer with a TB3 connection. It’s fairly well known that Apple products, especially Macbooks, have incorporated Thunderbolt 3, but there are a growing number of TB3-capable desktops, laptops, and micro-PCs from a variety of manufacturers. Thunderbolt 3 itself is a cutting-edge technology with a lot going on under-the-hood, so for a better understanding, check out our other TB3 content here on Newegg Insider. We know the sky’s the limit with TB3, but that’s only half the equation. You still need a quality storage unit to hook up to your PC. Relative newcomer TerraMaster has a strong contender with their Thunderbolt 3 Direct Attached Storage units, which we had an opportunity to spend some time with. Let’s start with the basics. 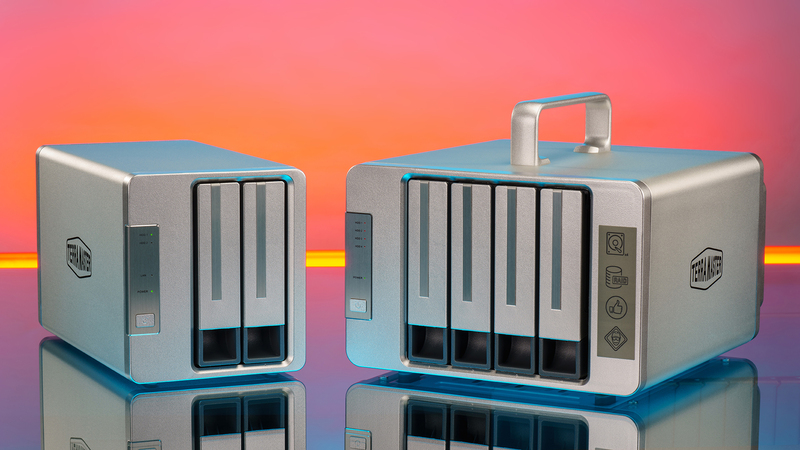 The D4 and D5 are, respectively, 4 and 5-bay DAS Units that can accommodate 2.5” or 3.5” SATA drives. 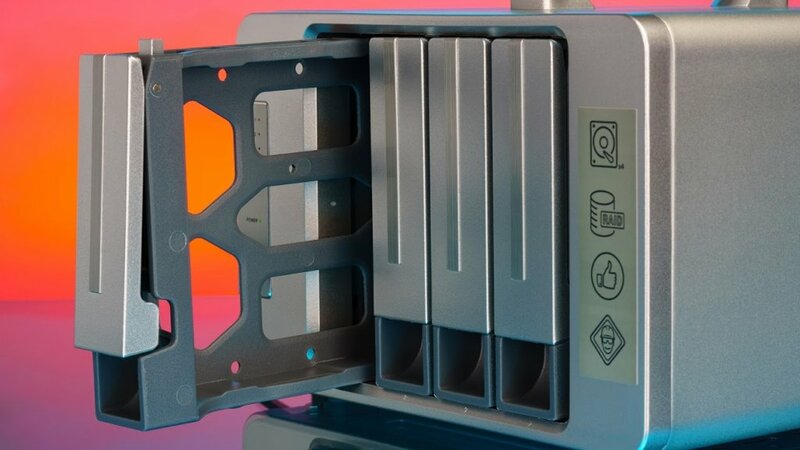 For those of you new to the world of data engineering, very few add-on storage devices ever come with drives, instead relying on what the buyer provides. Thus, the number of bays in a DAS unit is an important metric for determining the potential maximum amount of storage you could add. For example, in the D5, you could add five 14TB Seagate Ironwolf hard drives for a whopping 70TB of mass storage, or replace one Hard Disk Drive with a 4TB Samsung 970 EVO Solid State Drive for a faster, frequent access volume. The D4 and D5 include everything you need to install whatever drives you choose to use. Our off-the-shelf sample units included two baggies, each with screws for mounting 2.5” or 3.5” drives, as well as a handy screwdriver. This makes it easy to get your new storage unit up and running. The box also comes with a nice, long, active Thunderbolt 3 cable so that you can put your D4 or D5 in an actually convenient position. After installing all of the software and drivers needed for your computer to work with your D4 or D5, you’ll find that its management UI is fairly feature-rich. Most notably, both of these units support several types of Redundant Array of Independent Disks (RAID) configurations. 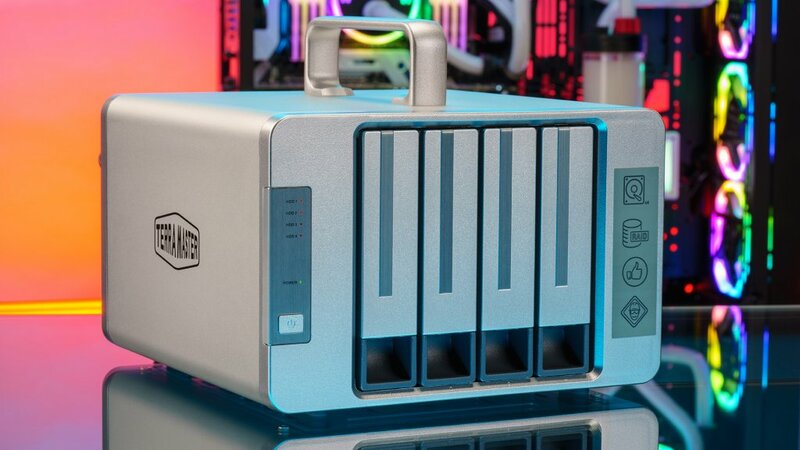 RAID is a data management technology that allows a computer or other storage devices to take a number of independent physical drives and then, using specialized hardware and software, organize those drives as a single storage volume with which the end-user can interact. The two most common types of RAID configurations are spanned drives (where several smaller drives are combined to make on large volume) and mirrored drives (where the data on one drive is duplicated to another drive, in case either fails), and the TerraMaster line supports both of those, as well as combinations of mirroring and spanning. 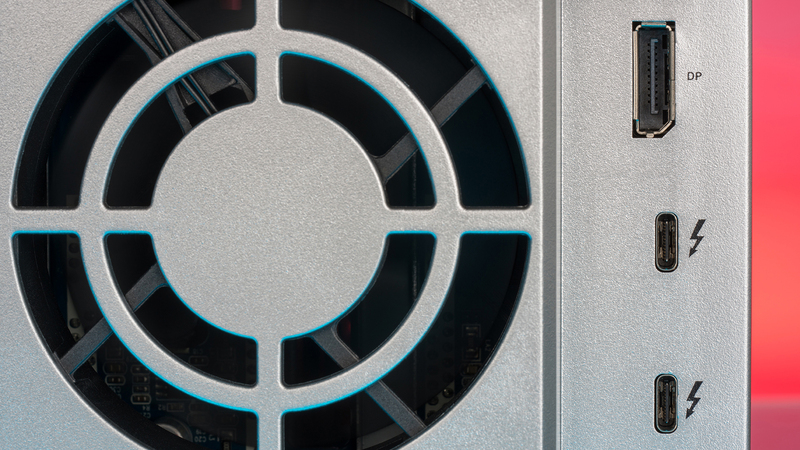 RAID technology is an incredibly complicated subject, but suffice it to say, in this case RAID offers an incredible amount of flexibility for using your DAS and managing your data. 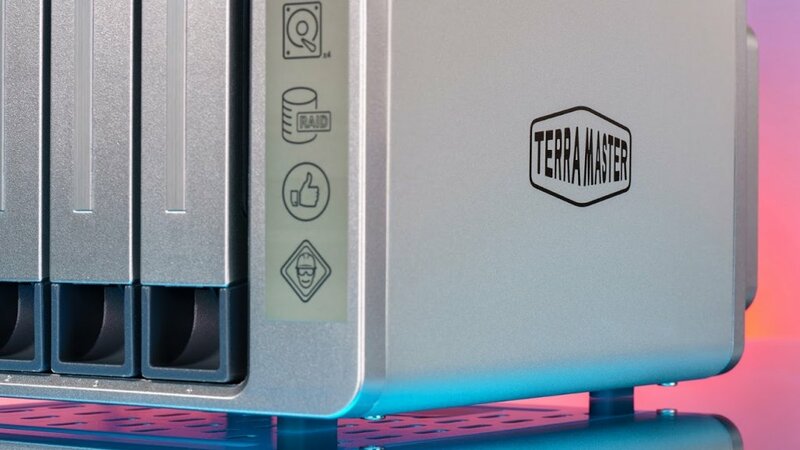 The interface for your TerraMaster DAS also features a host of standard features you’d expect in any quality Home/Small Business storage device. You’ll find info panes for disk/drive health and status, alert settings, general device settings, and activity logs, among others. Obviously the draw of Thunderbolt 3 is its blazing-fast 40Gbps bi-directional data transfer rate, but there’s more to it than that. If you’ve read our Thunderbolt 3 technology overview, you’ll know that you can daisy chain up to six devices from one port, and these TerraMaster DAS units are no exception. On the backside of both models, you’ll find two Thunderbolt 3 ports, as well as a standard Displayport video out. In practical terms, this means that you can connect your computer to your D4 or D5 via Thunderbolt 3, and then connect a monitor and another TB3 device. For example, let’s say you’re an on-the-go professional, like a freelance video editor. You can take your laptop with you to a production meeting, then come home and reconnect your laptop to your Thunderbolt 3 dock. Through that dock, you can have your laptop power your TerraMaster DAS and a 4k editing monitor, and then, through the other TB3 port on the D4/D5, another monitor, or an external GPU, or even more TB3-capable storage. The daisy-chain capability in a well-made device like the TerraMaster D4 or D5 offers a staggering amount of flexibility for any power-user. 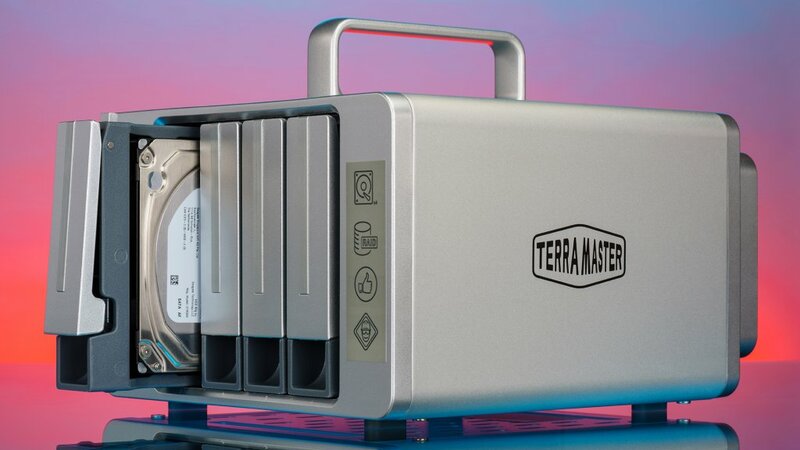 The TerraMaster D5 is on sale for $799.99, as is the TerraMaster D4 for $699. You can also look at the rest of our TerraMaster Network and Direct Attached Storage solutions on Newegg.com. And you can find plenty of info on Thunderbolt 3 and the best Thunderbolt 3 products here on Newegg Insider. This article was produced in collaboration with TerraMaster.